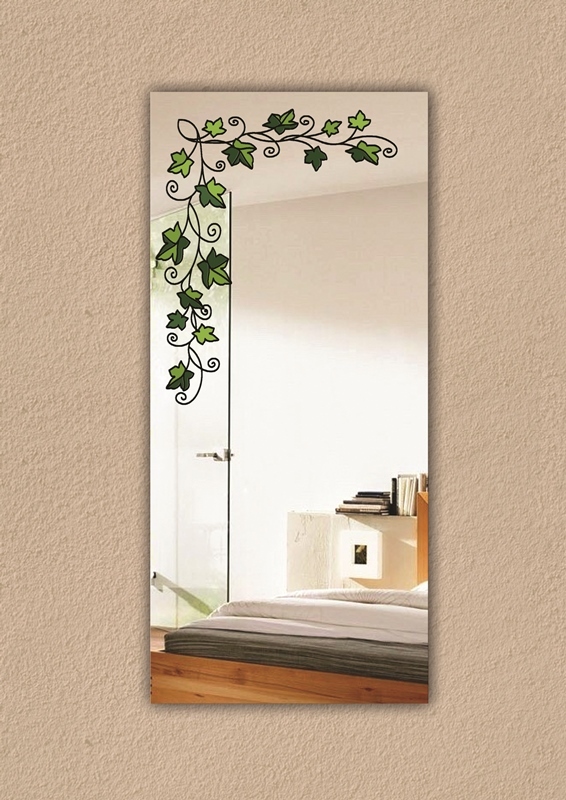 There are many different ways to decorate a mirror and make it a real highlight of the room. Use of various patterns and images on a mirror surface is an example of original and beautiful design. Matting. It is carried out by chemical or mechanical means. This method allows creating elegant frosted patterns on any mirror. Tracery can be of different degrees of saturation. Matt patterns can be colored. In this case, the color and texture of the picture beautifully complement each other. Film application. This method involves the use of a special color film as one of the layers of the mirror. Such a film can combine any colors and patterns, which provides unlimited possibilities in choosing a mirror design. Photo-printing. This is a fairly innovative method that allows you to apply paint directly on the finished mirror. To create an image by using photo printing, you must first create it electronically. In this way, even ordinary photographs can be applied to glass. All these methods allow creating unique color patterns on the surface of any mirror. It can be flower arrangements, floral ornaments, trees, stained glass, and stained glass frames, images of different countries and cities, favorite animals, colorful butterflies, autumn leaves, or any abstraction - in general, anything you wish. 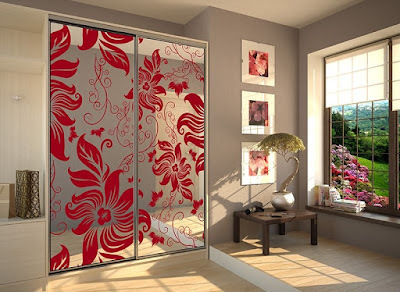 Colored patterns can be an excellent decoration of the cabinet mirror, mirrored furniture or even a mirrored wall.